At least five people, including a university professor, were killed in a terrorist attack when three suicide bombers, among them a 12-year-old girl, targeted a university in northeast Nigeria. The blasts took place early Monday morning in various areas of the University of Maiduguri, in the capital and largest city of Nigeria’s northeastern Borno State. The incident has been confirmed by local police. 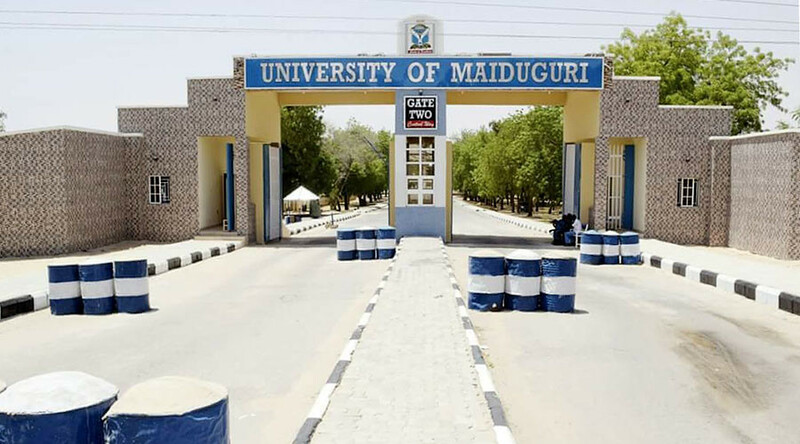 “Yes, I can confirm there was an explosion within the premises of the University of Maiduguri during the early morning prayers by the Muslim faithful,” the spokesman of the police in Borno State, Victor Isuku, told local media. The first explosion ripped through a mosque in the staff quarters area of the university, where professors were offering dawn prayers. That blast claimed the lives of five people, including the bomber, and injured 15 others, AP reports, citing Isuku. Police Commissioner Damian Chukwu also confirmed to AP that five people died in the explosion at the mosque, including a university professor, and that 15 were injured. According to local media the professor was Aliyu Usman Mani, a director of veterinary medicine at the university. Meanwhile, the National Emergency Management Agency, which carried out the evacuations, put the number of those injured at 17. Amid the panic caused by the first explosion, another suicide bomber detonated his explosive device at one of the gates leading to the university. Some local media outlets report that the suicide bomber who attacked the university mosque was just seven years old. The third suicide bomber was shot by police as she tried to get into the university. A group of officers patrolling the territory shot a 12-year-old girl strapped with a suicide vest, who reportedly tried to scale a fence. A bomb strapped to her body exploded, killing her instantly, police said. Nigerian President Muhammadu Buhari has sent condolences to the families of the victims, and denounced the terrorists by calling them cowards that “have no true understanding of Islam.” He also promised to “continue to ensure that terrorism never triumphs over peace-loving Nigerians," as reported by AP. No terrorist organization has yet claimed responsibility for the attack but local media reported it was likely carried out by Boko Haram, a group affiliated with Islamic State (IS, formerly ISIS/ISIL). 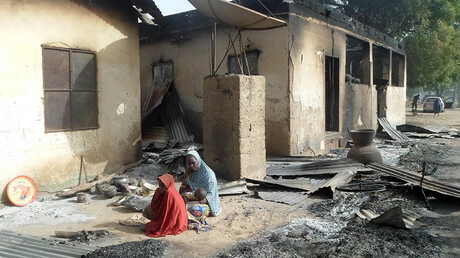 Maiduguri is the center of Boko Haram’s seven-year insurgency. One of the deadliest terrorist groups in the world, they were responsible for 5,478 deaths in 2015, surpassed only by Islamic State, according to the new Global Terrorism Index. Boko Haram has killed about 20,000 people and displaced more than 2.5 million in Nigeria during its insurgency, according to AP. On December 11, 2016, Boko Haram carried out a terrorist attack in Maiduguri, in which two girls, believed to be aged between seven and eight, blew themselves up in a city market, killing themselves and injuring 17 people. Just two days previously, on December 9, 2016, two female suicide bombers killed 30 people and injured 67 others in a terrorist attack on a market in the Nigerian town of Madagali. 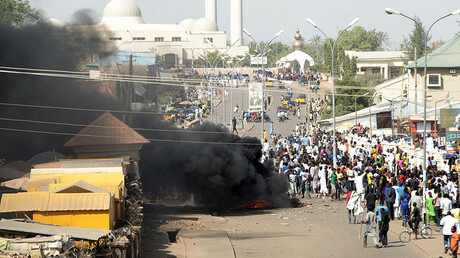 However, the Monday attack is the first assault on the university to be blamed on Boko Haram, according to AP. It is also the first major attack after Buhari declared that Boko Haram was "crushed" in December 2016, following reports that Nigerian troops destroyed the terrorist group’s stronghold in the Sambisa Forest in northeastern Nigeria.